Customisation – Modifying to the individual. 1. Ideas – Many ideas stem from a small problem or a personal need to solve an issue, while others might stem from improving something that already exists. We are here to help decipher the code to the problems our clients are having. We pride ourselves on thinking outside the box and asking the right questions to get to the best outcome possible for all involved. 2. 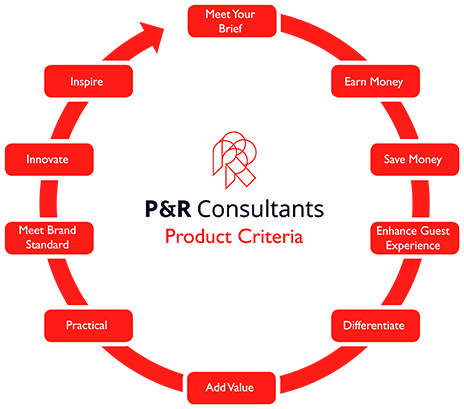 Design / Engineering – P&R consultants conceptualise ideas and present them to our designers and engineers for testing. We then have these rough designs and illustrations rendered into 3D digital models to help you visualise what the end results might look like. At this point we can make adjustments to the way the product might feel and look. 3. Manufacturing – The first steps in the manufacturing process starts with the 3D rendering of new products and from there prototypes are developed. Our design engineers provide detailed technical drawings and illustrations to our manufacturers in order to cost and create the moulds that used to create the product. Many products are hand made using various techniques required in working with the large array of materials that we use. 4. Samples – First samples are quickly provided once the design and price has been worked out. Generally speaking Minimum Order Quantities apply and this can have an impact on cost and estimated time of delivery. One advantage to our business model is that we the ability to provide small production runs. 5. 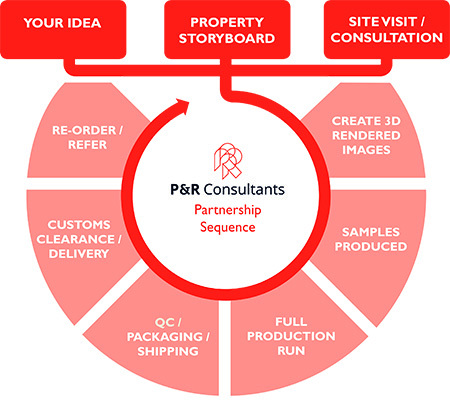 Production Run – Upon received of your Purchase Order & once all pre-production samples are approved and signed off, your consignment goes into full production. Production lead time varies depending on the product. 6. Quality Control – Strict QC plays a vital role with our customised products with interim, final and packaging inspections carried out throughout the process. Where a product fails QC, we will have no hesitation in pulling the product and starting the process again. 7. Packaging and Shipping – Ensuring each product is packaged in a way that protects the goods during transport is as important as the production of the product itself. Great care and attention is taken in this space. Once complete, we then arrange shipping in line with our customers requirements. In most instance we arrange shipping (by sea or air) to the destination port. 8. Importation – We can also arrange importation and customs clearance once the goods land and from there the final piece of the logistics jigsaw is delivery and/or warehousing of our clients goods.